On this blog, I try not to “recreate the wheel”. There are some fantastic resources out there, and I love finding them and putting them “in one place” here at Organic Eater, so you can reference them easily. So, when I came across this clean seafood resource (again) this week, I knew it could be very helpful to the omnivores and pescatarians out there who want to “eat clean” as much as possible. If you’re like me, summer means eating more fish! There is usually a summer beach trip or two since we live near the Carolina beaches, so of course that means eating fresh catch on those trips! This resource can help us make better decisions about clean eating when buying fish, due to the farming practices and mercury content, similar to the EWG’s Dirty Dozen list for pesticides on produce. There is also a wallet version you can print to keep with you if you like. Enjoy and eat clean! 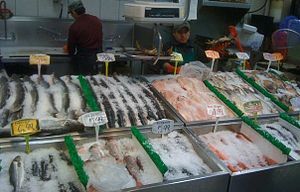 www.foodandwaterwatch.org will take you to the website, and you can search for the “Smart Seafood Guide 2012” if you want that printable. This website is full of extremely helpful info, so check it out! I have it really good at Thanksgiving. I mean REALLY good. It may surprise some of you to know that I don’t LOVE cooking. I intentionally named the blog Organic EATER, not “Organic Cook”. I love the eating part, but the cooking part, not so much. I do it because I’ve disciplined myself to do what I know is right and best for my family, the exact same way I’ve been exercising and all of my other disciplines. This whole “real food, low sugar, low grain, #lowcrapdiet” thing is only a couple of years old in my world, and it has not caused me to miraculously start loving the cooking process unfortunately. So, having it “good” at Thanksgiving means I don’t cook, but it’s still awesome food! 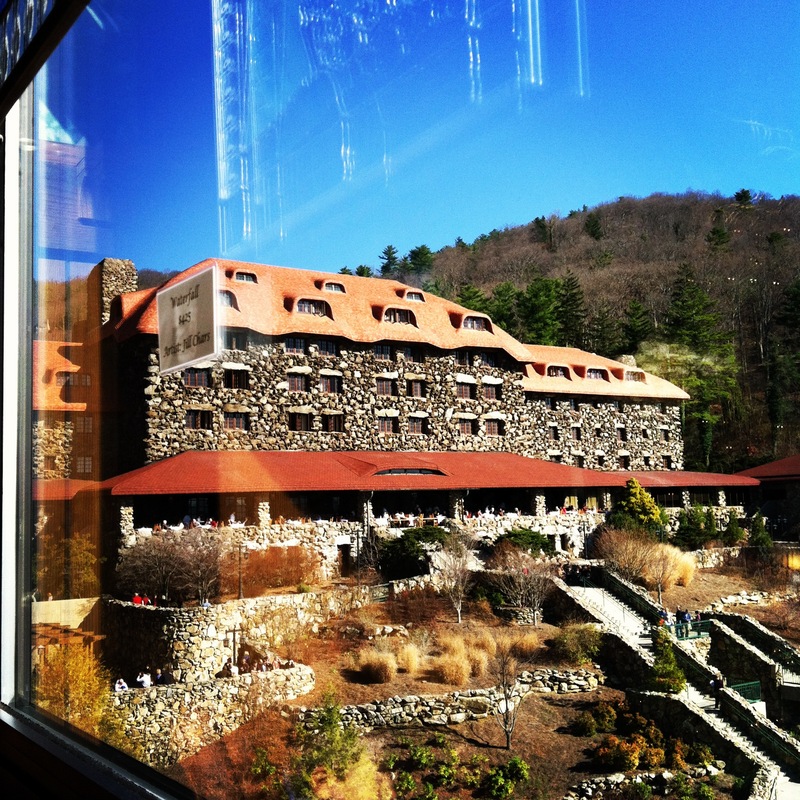 My in-laws have either taken us to the beach (and a fabulous restaurant) or to The Grove Park Inn for the past several years during the week of Thanksgiving. Before those trips, they cooked the traditional turkey meal at their home and invited us over, and my mother in law is a fantastic cook! With my husband’s job requirements now, we can’t travel during Thanksgiving week, so we are going back to the Traditional Turkey meal at their house again. I will bring a gluten-free cranberry apple dish (with oats) that is delicious and pretty easy. Oh, and I may bring the iced tea. That’s it. Oh, Happy Day!! And the best part is that my husband and I have convinced them to buy an ORGANIC turkey this year! Hooray! That was the only “missing link” for me to have spectacular Thanksgiving eating this week. BUT…. The Wellness Mama has an ENTIRE Real Food Thanksgiving menu, recipe for each item, and the shopping list you need to prepare all of it! This makes it super easy! 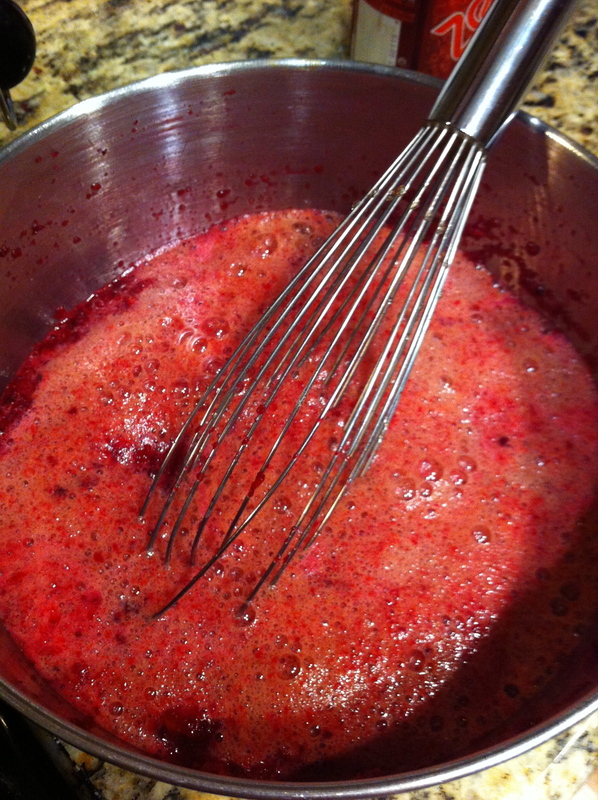 I’m making the cranberry relish for left-over turkey sandwiches on Friday. Food Renegade has a list of 11 Breakfast ideas for Thanksgiving Day, and a grain free menu for lunch/dinner. This Bruce Bradley post was my favorite because it not only has links to recipes, but it explains WHY you don’t want to eat those specific processed food items! Mr. Bradley is a former corporate food marketer, so I think he knows what he’s talking about! 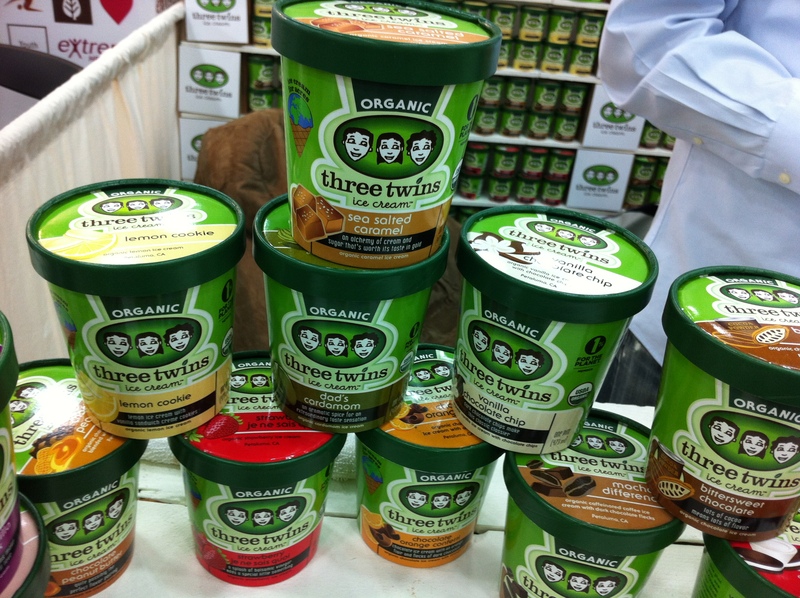 If you want to go “all organic at Thanksgiving” here’s a link at iVillage to show you how. Two thoughts I leave with you: once you’re finished eating your holiday meals, and maybe one round of leftovers, get back to the good life of eating the food that really makes you feel great! Enjoy your family and your traditions, then back on track with eating and exercise. Don’t wait until January 2, 2013! Secondly, this is Thanksgiving, so let’s be thankful no matter what we eat. For some Americans, they don’t even have a table to sit at this year because it was washed away in a storm or blown away in a tornado. Many have been without jobs for months or years and are thankful for the kindness of someone’s generosity towards them, even if it is “processed” food. Many are eating in a shelter and thankful just to have anything to eat on Thursday. If we’re able to read a blog and make some choices about what and how we eat this Thanksgiving, let’s be EXTRA grateful for that!! Encouraging Health, and praying you have a blessed Thanksgiving! Tell me what you’ll be doing this week, and what choices/compromises you may have to make to “keep the peace” in your families. Or if you’re going all “real food” or “all organic” this year, I’d love to know that too! Also, if you have a great recipe or link you wanna share in these last couple days of shopping for food, share it with us!!! I prefer to make grain-free recipes if possible, so I used almond meal that I buy at Trader Joes. Almond flour or another gluten free flour may have given it a slightly better texture, but they were still good with almond meal. I did not have enough protein powder at the time, and they still turned out fine. I used a stevia-sweetened vanilla whey powder. 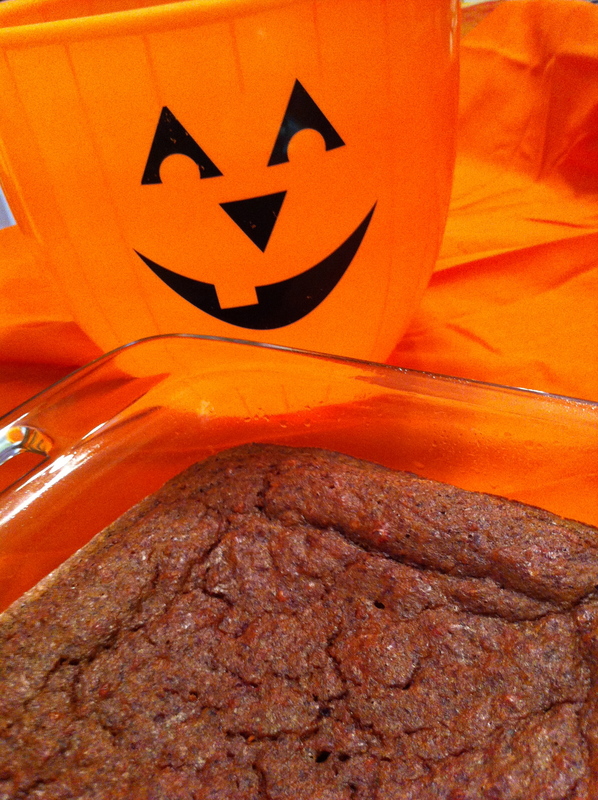 Well, that’s what makes this the perfect Halloween baking experiment for all of you mad scientists out there! It turned the ingredients a beautiful dark red, (like blood, Halloween, get it?) and when we added the fizzy soda, it was a bubbling cauldron of bloody red goo (insert evil laugh here)! Look at all that awesomeness below! Now, that bloody red color changes as it bakes (unfortunately), but it was fun while it lasted! So, here’s my full confession: while the beet made it super fun and a really cool color, it wasn’t sweet enough, so I would suggest using the applesauce or banana OR you could add frosting like I did in the picture below! 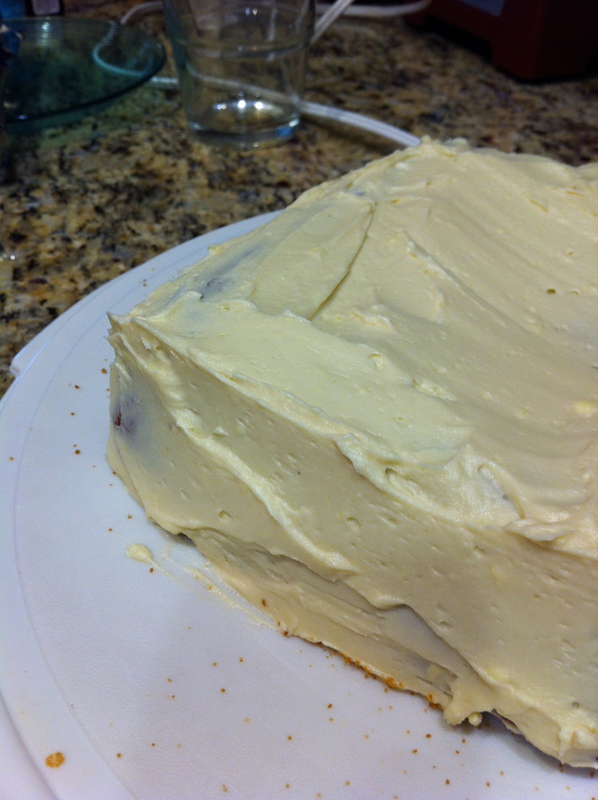 (it was stevia sweetened cream cheese frosting). If you don’t have ingredients (or time) for frosting, you could always add honey on top instead. I especially love www.cloisturehoney.com ‘s whipped cinnamon honey! O MY Amazing! My last bit of advice would be to make sure you chop/process your beets small enough, if that’s what you use for this. 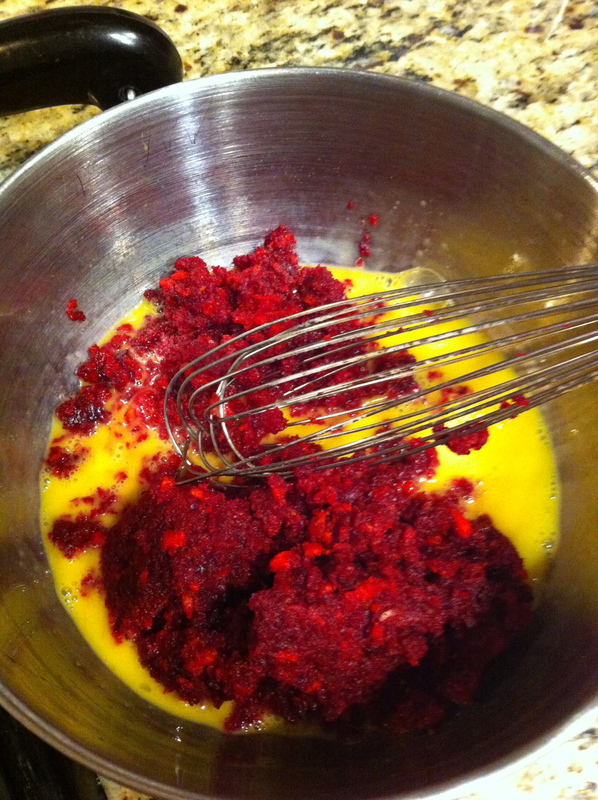 I left a few chunks, and it wasn’t my most favorite bite when I found them:) If you are a huge beet lover, then by all means, leave the beets chunky! I loved the way this recipe offered so many options, so it has the potential to taste many different ways, depending on what you use. Chocolate chips and pecans would be a nice addition, if that works for your family. If you try this, I hope you have as much fun as we did making it! And please let me know how it turns out, since there are so many varieties possible! Happy Halloween! Enjoy! Please go to this post to enter the GiveAway for FREE Zevia! They generously offered TWO free 6packs to the winner, so you can drink some and cook with some! 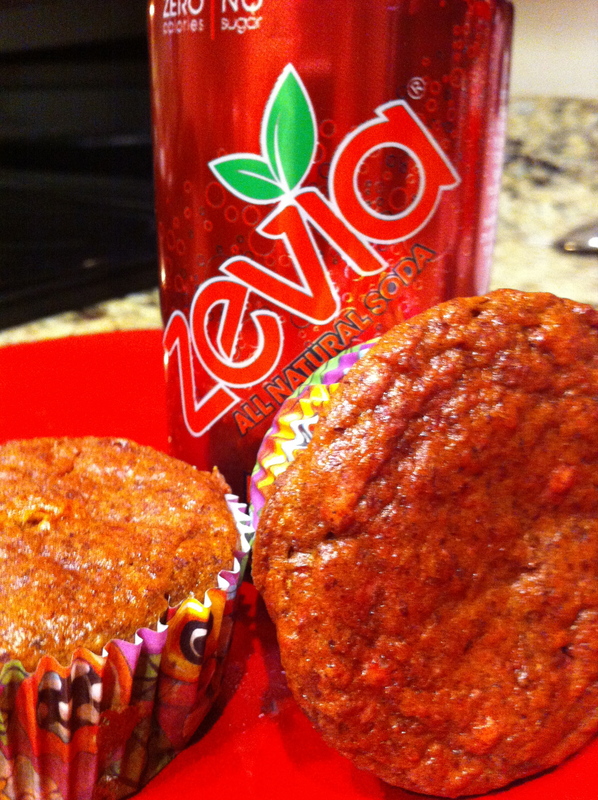 Check out the Zevia website for all kinds of recipes for no sugar foods and drinks. 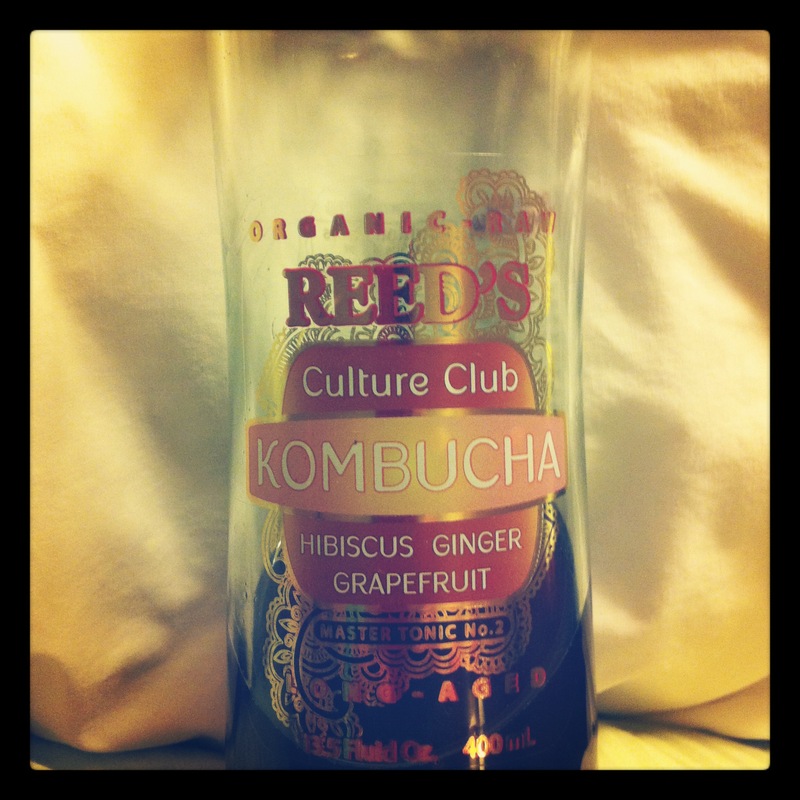 REED’S ORGANIC KOMBUCHA: this is only the second store-bought kombucha that I really loved the taste of. They are organic (bonus!) and low sugar. Fantastic. I need not say more. Love me some ‘bucha! www.reedsinc.com for a store locator. IF you have a ginger allergy like my sister, you are out of luck here, since every kombucha flavor has ginger in it. 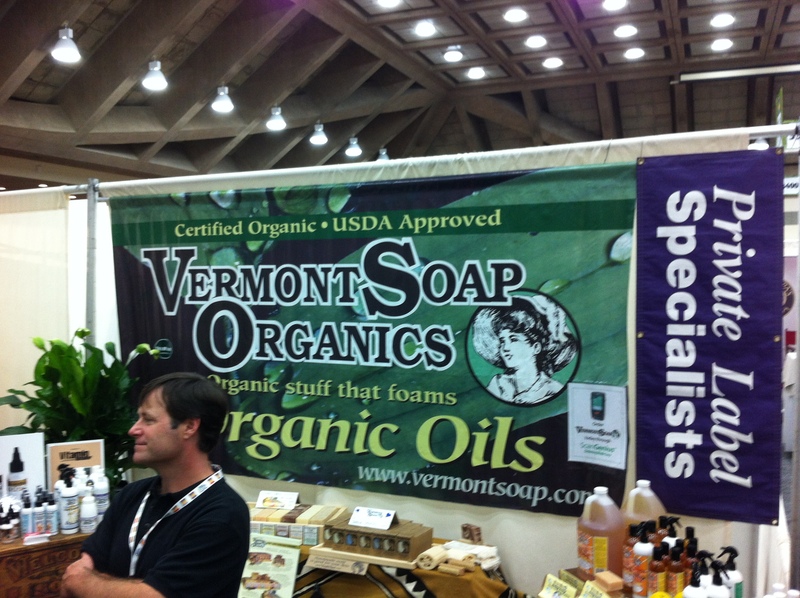 THE ORANGE OWL: all natural body products made in Vermont. The owner of The Orange Owl, Akshata, gave me a cinnamon & spice lip balm that I have loved. It smells like autumn every time I wear it! 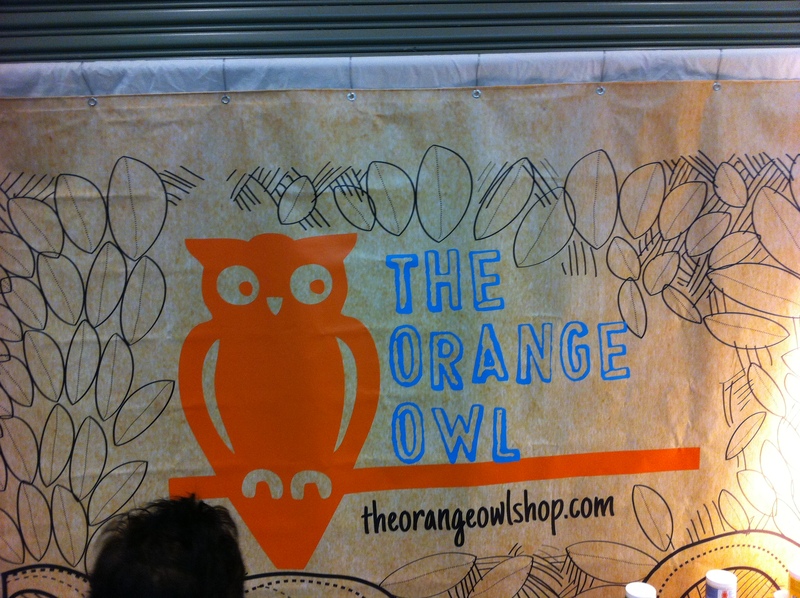 This is also a new company, and you will probably need to order from www.theorangeowlshop.com for now. 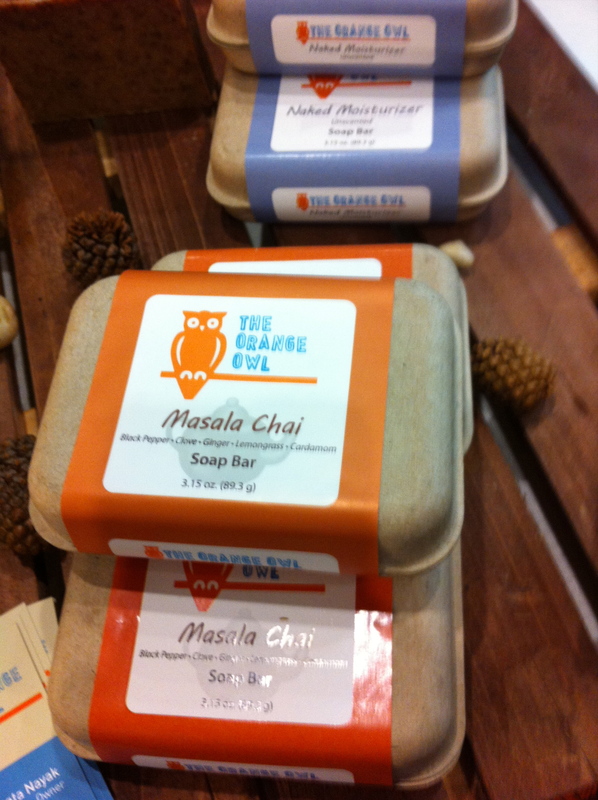 Besides being an “all natural 100% chemical free” line, they use green packaging, and the owl is too cute! So, there it is! The second (and last) half of my “Top 10 at Expo East 2012”, but I will post SEVERAL other great products (which are also in my “top 10”) later. They will receive their own individual product review and maybe even a few give-aways! So, I guess I really will end up with more like a Top 20 list, but that’s OK! 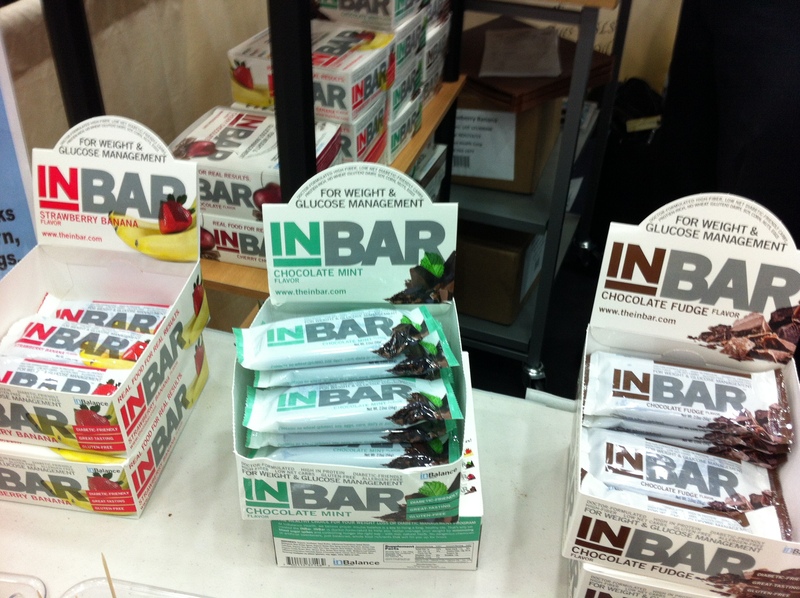 There were thousands of great products at Expo East! If there is something you are specifically looking for, let me know! – gluten free is huge, and will probably only increase in the years to come. I have met so many people who have recently been diagnosed celiac, so I am sure there will be a large enough demand for these companies to increase their product lines. –coconut oil is hot hot hot! The world is opening its eyes to the nutrition and safe cooking aspects of coconut oil (stable at high heat), and it’s only going to get bigger. I saw flavored coconut oils, and flavored liquid options, and some refined products that will not have the coconut flavor that some just can’t tolerate. Also, it’s used in beauty products and other foods as well. I am so happy to see it expand in many ways! –nuts and seeds were huge too! Quinoa, hemp, and chia seeds were sprouting up everywhere (hehe), and nuts covered in everything from chocolate to spicy seasonings. –labeling is important and consumers are educating themselves on reading labels & ingredients, and looking for “organic”, “kosher”, “GMO free”, and others. 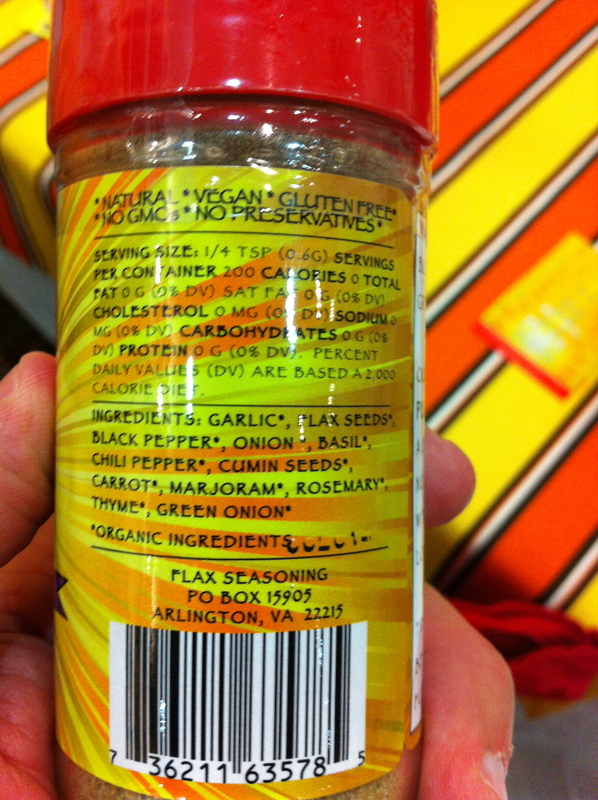 If nothing else, consumers want ingredients they can read and know what’s in there. We (in America anyway) are starting to wake up to reading ingredients and paying attention to what we’re eating and giving our children to eat. I applaud every minute of it! I believe this trend is here to stay, and will only improve the quality of foods offered by manufacturers and farmers. If you try any of these amazing products, be sure to let me know. Many of you already have, and I appreciate it so much! Even more importantly, let these companies know how you heard about them and what you like about their product line. Let’s cast our vote at the cash registers and let farmers and manufacturers know we want more truly natural and organic and GMO-free products! They keep making/selling what we keep buying. It’s simple economics: Supply and Demand. I had so wanted to get this post out earlier, but a friend called with an unexpected trip to a gorgeous beach house, for FREE, so I had to get all my beach preparations taken care of before I could blog. (Blogging is not a paying gig for me, so I had to prioritize. I love y’all, but you don’t pay me to do this. hehe) So you are getting the first installment of 5 of my favorites, with another 5 coming soon. Here are a few of my awesome finds from my Expo East 2012 experience! And my Top 10 is NOT in any order because it’s too hard for me to do that!! I loved them all!! This little gem of a sauce comes in original/mild, which is spicy enough for me, and a hot (and vegan) version too! They use clean ingredients, nothing fake. There is organic sugar in it, so I have to watch my portions, but the flavor is so amazing I don’t need much anyway! My 8-year-old was persuaded to try some new vegetables because he was allowed to have this sauce with them! He loves this stuff! Heck, we ALL do! It’s delicious and although it isn’t USDA Organic, they use mostly organic ingredients, and I have spent enough time with the owners to know they care about clean ingredients in their sauce! 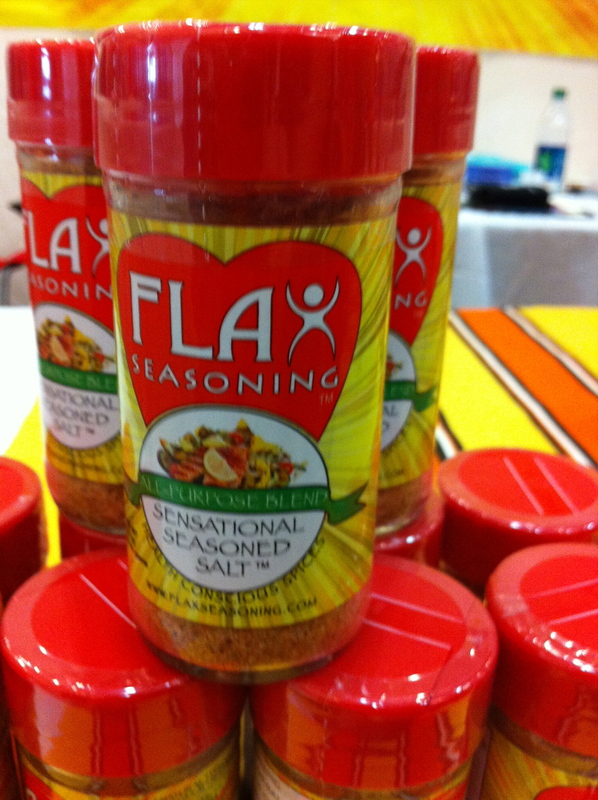 You can find them in Whole Foods, Earth Fare, Healthy Home Market, and many other stores. 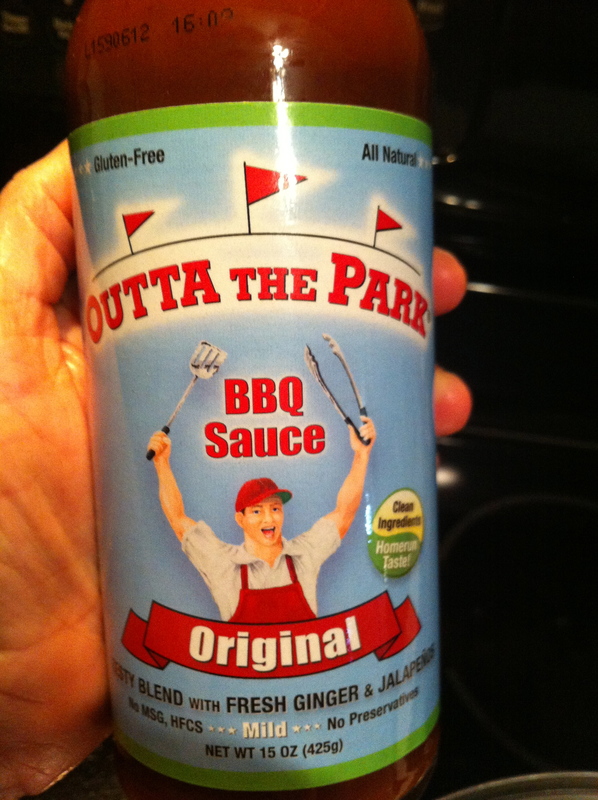 You can also find them on the web to order at www.outtatheparksauce.com, and their website has a “where to buy” link of each state and store they’re in, so it’s easy to get! Go now! I’m gonna be straight with you and admit that I’m not crazy about the taste of coconut water. I mean I WASN’T crazy about the taste of coconut water, until I found this one! If ever an Oh my! was appropriate, it’s here. Oh my! I can’t explain it, except that possibly where they’re sourced makes a difference. I can’t remember where she told me they come from. And if their coconut water is this good, I’m praying I can find their coconut oil asap! (where is that business card I got from them anyway???!!!) 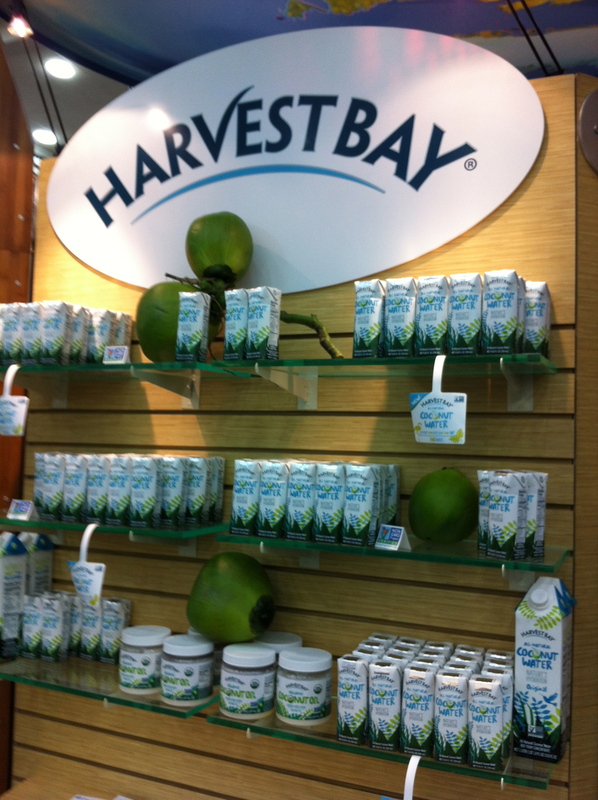 They are at www.harvest-bay.com and in many stores, easy to find. No idea what the price point is, it wouldn’t matter anyway. Yes, that good. Sersly. 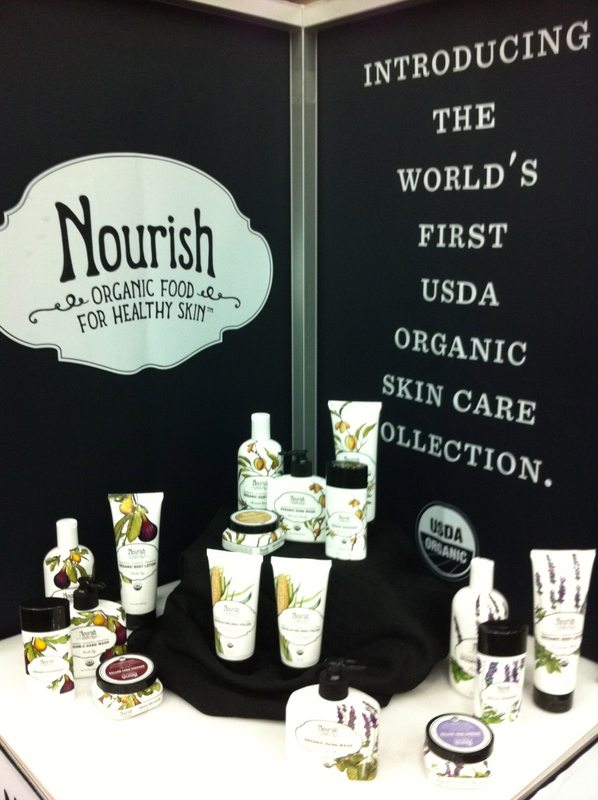 Green products galore! Love what the company’s about, and don’t know of another company quite like them. 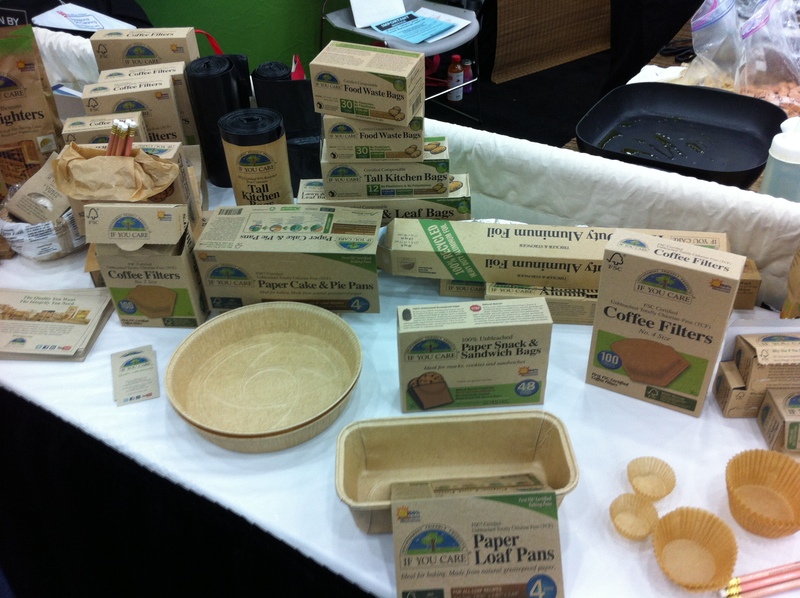 They have unique products to help your kitchen be more environmentally responsible, as well as healthier for YOU! Their parchment paper is the ONLY one I ever use because it’s not covered with chemicals or waxes that could easily be getting in your food when you bake. Ew. You can find them at many natural food stores and on-line at www.ifyoucare.com If you care, go to their site to read more about their unbleached paper and other unique qualities (oh, you know I had to do that!). I heart them for caring. OK, that HAS to be it for now! It’s so late and I’ve got so much to do! I can see now, there’s no way I’ll be able to do only 10 of these. I love too much! :) If you buy any of these products, please let me know, and more importantly, let the owners and/or marketing departments of these companies know where you heard about their great produts!! More next week my friends, so make sure you’re following the blog so you don’t miss it!